The Christmas Story (III). Matthew and the Birth. Matthew begins his narrative of Jesus’ birth with the information that Mary was betrothed to Joseph. And before they came together as sexual partners, it’s discovered that she’s already pregnant. Matthew says the pregnancy is by the Holy Spirit, but he doesn’t mean that other people knew this—he makes you an insider here. He’s writing from long distance, many years after the events (and we don’t have any idea how he can know stuff like this—in fact he probably does some interpolation of tradition—backwriting the gospel narrative into the preamble of the birth as Luke does—they also seem to incorporate their contemporary knowledge here and there—imparting a presentism to the story—more on this later). Coming back to his narrative, he’s going to explain and explore the struggle of Joseph over this. Indeed, Matthew’s story is really a story of Joseph, not Mary (Luke does that, without knowing the complementarity of Matthew). 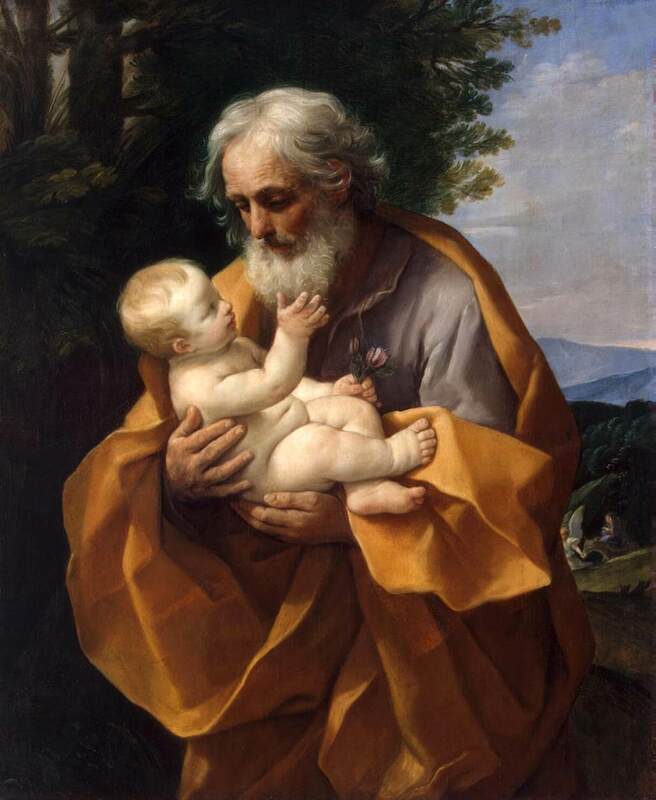 In Joseph, Matthew finds a kind of hero. Joseph is a faithful Jew, obedient to the Law, and yet obedient to God, as God moves outside the norm. Matthew wants to tell a story in which not just Joseph, but many other Jews are faithful, at the same time as he has some negative stories about Jewish leadership. It’s not a story of Jews with black hats, Gentiles with white hats. It’s complex. But Matthew’s ideal is someone who could keep the Law and yet understand Jesus as Christ. For Matthew, Jesus is a keeper and expounder of the Law (sermon on the mount) and every tiny bit of the Law must be fulfilled—not ended as we so often interpret. Matthew’s Gospel is probably partly autobiographical in overtone. It’s not that Matthew wants to exclude the Gentiles. But Israel is still paramount for him and there was no contradiction between the temple and Jesus, before or after resurrection. Matthew wants us to see Joseph as breaking over his sincerity. Joseph’s first thought is that, no, this just can’t be right, I must put her aside. “Joseph, son of David (note that!) do not fear to take Mary as your wife, for that which is conceived in her is of the Holy Spirit.” This idea seems to be a very old one, and Luke uses the same thing. They both have the same strong tradition about Jesus. The language here is important and it is an allusion to the Genesis story. It’s not a language about human reproduction, its language of creation “the Spirit (Breath) of God moved upon the face of the waters,” the breath that brings life, etc. God is at work, not man. Matthew wants to interpret the Law and Prophets as foretelling Jesus and this is a constant theme in his Gospel (and this probably guides the selection of elements in his Gospel—the traditions that he can link to the Prophets). He’s not alone in this hermeneutic. Jews at the time employed the same method of reading the Hebrew scriptures and we have evidence for this from the people of the scrolls (Dead Sea Scrolls). They wrote commentaries on the prophetic books, and every line in the prophets was found to apply to them, though the prophets didn’t know they were writing about the people of the scrolls—the Teacher of Righteousness (we don’t know who this was, there isn’t another name attached to the character) had told them this was the case. All this is very Nephite as well. In other words, Matthew is not alone in his method. What can we take away from this? Perhaps the simplest thing is that scripture is best thought of as having meaning that is adjustable to the time and place of the reader. There is historical meaning (though we don’t always know what it is), but this does not preclude other assignments. There was sometimes a difference between Matthew and Jews in his time however. Matthew at times sees Jesus as a commentary on the Prophets and the Law, while Jews read the Prophets as commenting on their present lives (and this, again, is the Nephite way—more on this later). Christianity is deeply committed to the Virgin Birth (and I am a believer). But I think this is really less relevant to our faith than one might think, and this is particularly so with Mormon Christianity perhaps. For an alternative explanation of Jesus’ birth, see James Tabor, The Jesus Dynasty: The Hidden History of Jesus, His Royal Family, and the Birth of Christianity (New York, 2007), 1-72. As an aside, Hebrew names have meaning, but it’s important to note that the language had been around for a millennium at the birth of Jesus. And the meaning attached to those names was defined by the history of the people involved, they weren’t prophetically assigned for their preexisting meaning. For example, Jacob=supplanter was a meaning attached to the name much later by virtue of Jacob’s story, sneaking into the birthright, etc. The etymology at the time was not historical. It was how people understood the roles of individuals by the time the stories were written down. All the prophets testified of Jesus and the like. « The Joseph Smith Papers Releases the Final Volume in the Journals Series. I’m really enjoying this series. Yes, in the eyes of many, His parentage appeared to be very far indeed from the ideal. I wonder how many Jews at the time would have liked Him to disavow the legitimacy of His own birth circumstances. I wonder how many Jews at the time would have liked Him to disavow the legitimacy of His own birth circumstances. Interesting to compare the Book of Abraham, which instead of “moved upon,” the BoA has “was brooding upon.” This is a possible reading of the Hebrew (a handful of English translations go this way) and is something Joseph picked up from Joshua Seixas at the Kirtgland Hebrew School. Taken this way the imagery is like that of a hen sitting on her egg, which is interesting in seeing the connections between reproductive and creative processes. That’s a great addition, Kev. Thanks. So many great nuggets in these. As you can gather from my sudden flurry of comments (instead of my usual lurking) I am loving these posts.